DENVER, Colorado (October 22, 2012) – The Valletta Waterfront has been awarded a 2012 Urban Land Institute (ULI) Global Award for Excellence. Widely acknowledged as the land use industry’s most prestigious recognition program, winners were announced on October 19th as part of ULI’s Fall Meeting in Denver. One of the 14 projects selected from nearly 200 entries throughout the world, Valletta Waterfront was recognised for its high standard of excellence in design, construction, economics, planning, and management. Since its official launch in June 2005, the Valletta Waterfront has become an international icon, embraced by local Maltese people as well as those from all segments and nationalities. Host to major national and international events such as concerts by artists like Alan Parsons Project, Gianni Morandi, Robert Plant, and James Blunt, as well as seasonal events like the Malta International Fireworks Festival, Holy Week and Easter Exhibition, and Halloween night program, redevelopment efforts have contributed to nearly $12 million in jobs. The redevelopment has resulted in nearly 540,000 annual tourists that infuse $ 54.5 million annually into the Maltese economy; a significant contributor to an island with a population of 300,000. Now viewed as an international model in the Cruise Port business, the Valletta Waterfront is a vibrant open space which has boosted the local economy, provided a year-round venue for national and international events, and more than doubled cruise ship tourism. 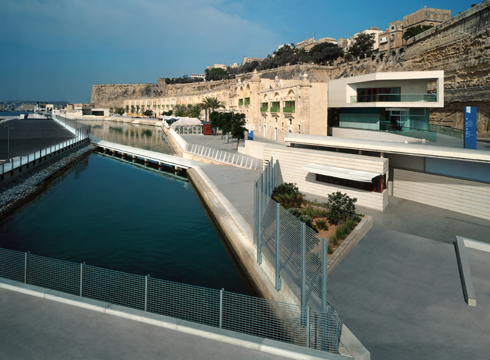 In addition to the ULI Global Award for Excellence, the Valletta Waterfront has also received a 2011 Waterfront Center Award for Excellence and was the 2011 winner of the Cruise Insight Award for MostResponsivePort and Best Turn-Around Port Operations.